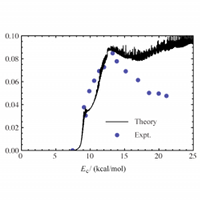 Mulholland group: structure of a reaction intermediate in an enzyme (hen egg white lysozyme) from modelling with combined quantum mechanics/molecular mechanics (QM/MM) methods. 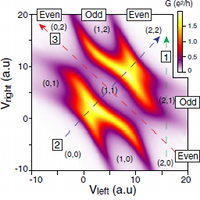 Wilson group: the ring structure of a bilayer of vitreous silica. 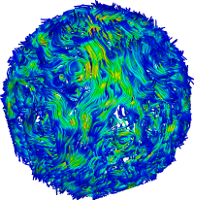 Khalid group: visualization of lipid flow on a 50nm diameter vesicle, using streamline methodology. 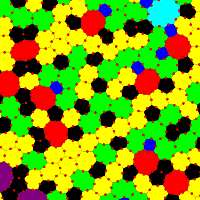 Colours represent the displacement of lipids. Paton group: saddle points on the computed potential energy surface for an organic reaction, the Pictet-Spengler cyclisation, show six-membered ring formation to be kinetically favoured. 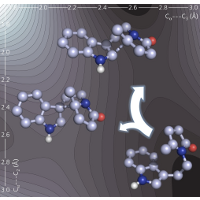 Clary group: quantum dynamics of the Cl+CHD3 → HCl + CD3 reaction. 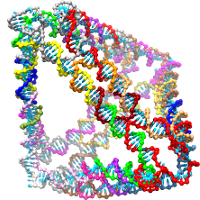 Doye group: a DNA tetrahedron assembled from four 3-arm motifs as modelled by oxDNA. 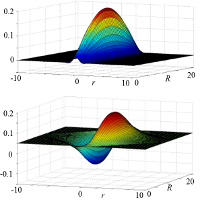 Galpin/Logan groups: conductance of a strongly correlated double quantum dot calculated by the numerical renormalization group. 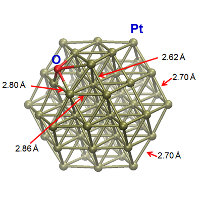 Skylaris group: linear-scaling density functional theory using the ONETEP program, applied to catalysis on metallic nanoparticles. 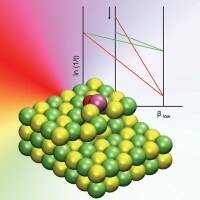 Barford group: Exciton wavefunctions in the light emitting polymer, poly(para-phenylene). Now open for applications, please go to the "how to apply" tab above, for further details. 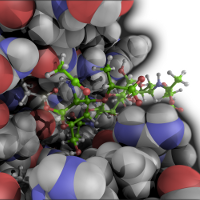 Theory and computer modelling play an increasingly central role in chemical and allied sciences, providing the means to understand, predict and design new molecules and materials. 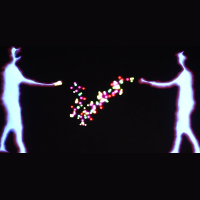 We are an EPSRC Centre for Doctoral Training whose aim is to transform PhD training in theoretical and computational chemistry, and to deliver the research leaders of the future required by both academia and industry. Our students receive integrated, in-depth training in the core activities of fundamental theory, software development, and application to contemporary research challenges. TMCS is formed as a consortium of leading research groups from the Universities of Oxford, Bristol and Southampton, so our students will benefit from expertise right across the subject, and from our strong links with prospective employers across a range of sectors. In addition to offering integrated doctoral training at the Universities of Oxford, Bristol and Southampton, up to four places on the year-one programme will be available to outstanding students with PhD positions at other universities, at no cost to them or their host institution, every year​. TMCS is committed to promoting equal opportunities in science, and we particularly welcome applications from women. We are delighted to let you know that Tim Naginey, from cohort 1, has successfully completed his viva, well done Tim! 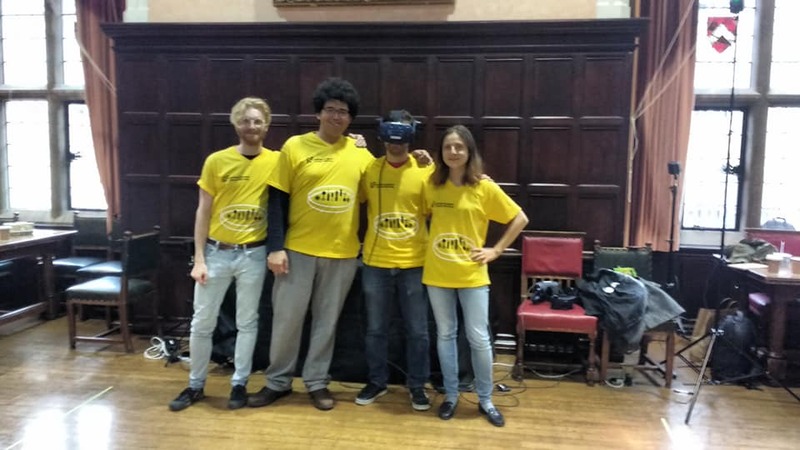 Four of our students, Darya Shchepanovska, Tom Fay, Callum Bungey and Rocco Meli demonstrated the NanoSim Box VR at the IF festival, held at the Oxford Town Hall on 13th October. 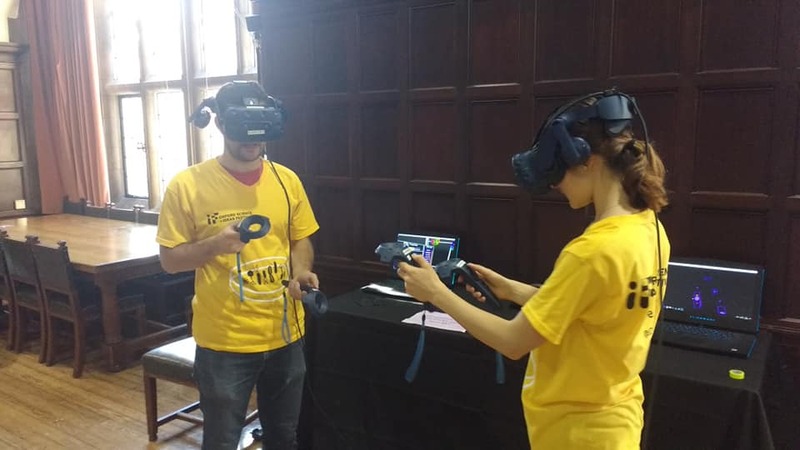 The VR was used to explain chemical concepts and how technology can be used to enhance our understanding of chemistry. Congratulations to Alex Duthie, who has been awarded this year's TMCS Prize for his outstanding performances in the assessed year-1 TMCS training programme, well done! 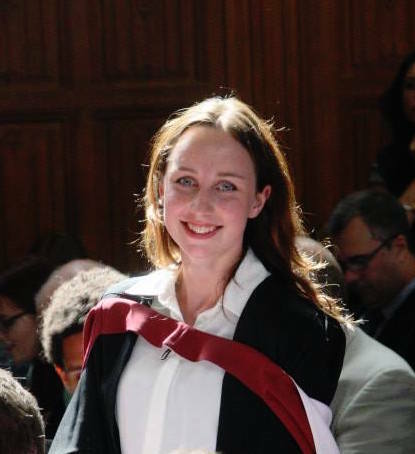 Hannah Bruce MacDonald from Cohort 1 of the TMCS CDT, has a post doc position in John Chodera's group at Memorial Sloan Kettering Cancer Center (MSKCC), in New York. Dom Fijan, from cohort 1, has been awarded a JSPS postdoctoral fellowship to study in Professor Hajime Tanaka's group at the University of Tokyo. The fellowship scheme, which is funded by the Japan Society for the Promotion of Science, provides the opportunity for highly qualified young researchers to conduct cooperative research with leading research groups in Japan. 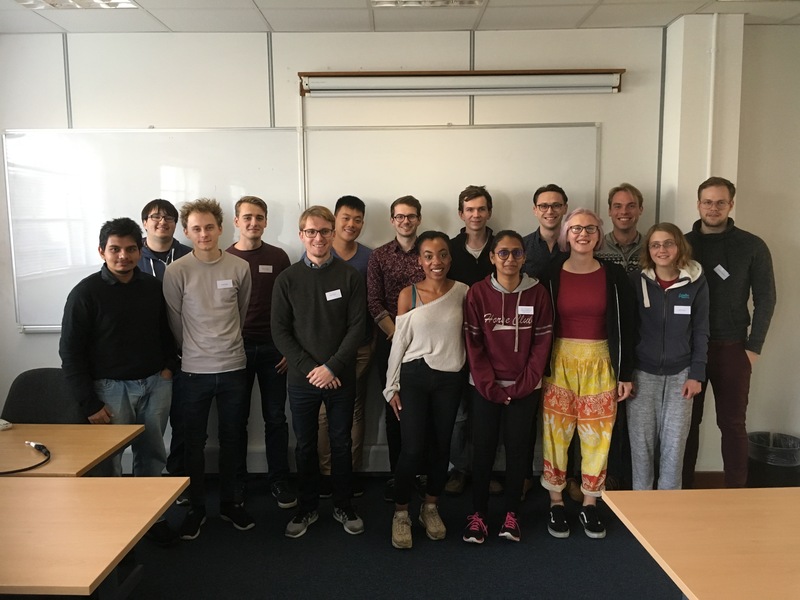 Congratulations to the fourth TMCS cohort, who all successfully completed the MSc in Theoretical and Computational Chemistry at the end of their year 1 training. Alex Jamieson-Binnie, Alex Duthie, Joao Dos Santos Morado, Miroslav Suruzhon, Ben Sutherland and Tom Young are the six students from the cohort, who achieved distinctions, well done all! UKTC2018 students and our TMCS students presented their research at an evening poster session, with poster prizes kindly provided by the journals Molecular Physics & Physical Chemistry Chemical Physics (PCCP). 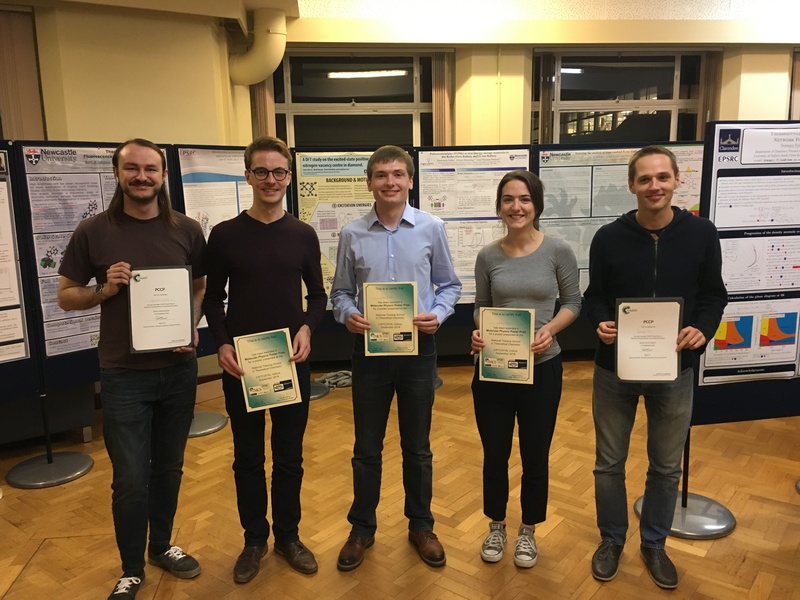 The Poster Prize winners were Staszek Welsh (TMCS), Harvey Dale (Edinburgh), Dale Green (UEA), Claire Meara (Newcastle) and Domagoj Fijan (TMCS) with their prize winner’s certificates.